SHERON Sukhdeo’s send-off reflected the life he lived - luxurious vehicles, excessive gold jewellery, friends and family, loud music and a car show. Just before his body was reduced to ashes, Sukhdeo was showered with Moët champagne at the Waterloo Cremation site in Carapichaima. Sukhdeo, 33, was shot on Monday while at Mahabir Street, Caroni Savannah Road, Charlieville. He died shortly after at the Chaguanas Health Facility. 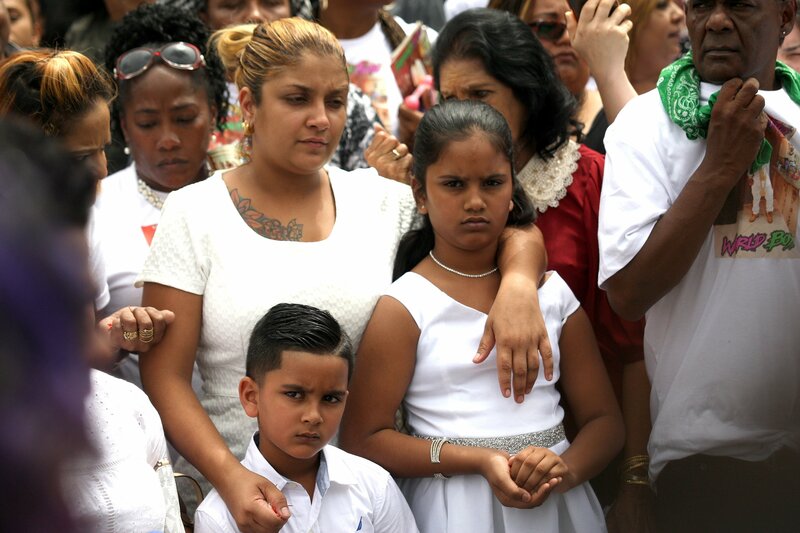 At his funeral service at his palatial home in Orchard Gardens, Chaguanas, hundreds turned out to mourn. The car and real estate dealer’s luxury vehicles and other fast cars lined the street as mourners awaited the arrival of his body. 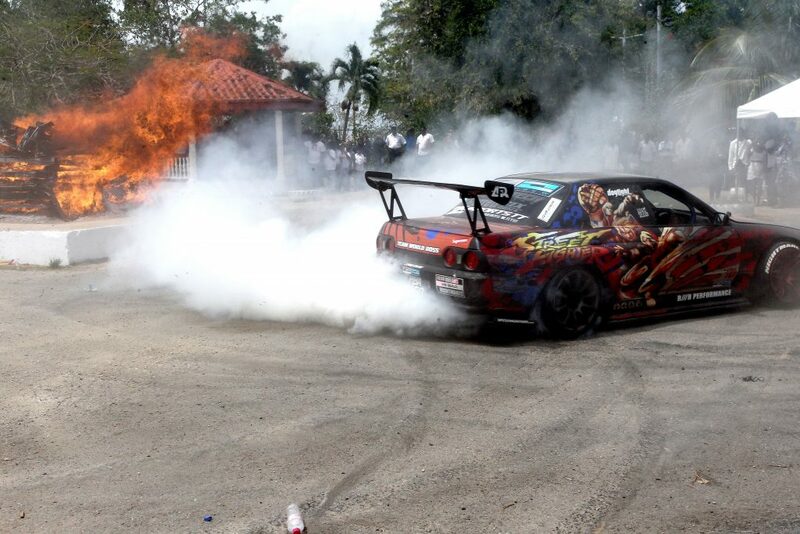 A driver performs next to businessman Sheron Sukhdeo’s funeral pyre. His images and his monkier were everywhere. Two large trucks also blared music. The police remained on the street. When the body arrived, his bronze-coloured casket was opened for the viewing of the body. Sukhdeo’s body was dressed in white and around his neck were his thick, heavy gold chains with massive medallions and other large pendants, reaching down to his waist. His family also placed a pair of Timberland boots in the casket. The media were prevented from entering his home at the request of Sukhdeo’s wife, Rachael. After the Hindu funeral rites were performed by his family, the body was transported to the Waterloo Cremation site. Along the route, Sean “Puff Daddy” Combs and Faith Evans’ I’ll be Missing You was played on repeat on the music trucks. Rachael, who, in 2016, posted photos of herself showing injuries she suffered during a beating from Sukhdeo, wept continously, as she embraced their two children. The businessman was charged twice for assault in February 2016 and later in May 2017 but the charges were dropped after his wife refused to testify. She gave him his last kiss before the heavy jewellery was removed from around Sukhdeo’s neck and his casket placed in the pyre. It was then bottles of champagne was poured on the body and the car show began. Reply to "Showy send-off for Sheron"